These are absolutely resistant to rust & corrosion, very compact and robust and preserve the milk at right temperature to preserve it before delivering the same to the buyers. Hence are preferred by the leading dairies of the world mainly from the nations such as Greece, Denmark, South Africa, Indonesia and Qatar. We offer our dependable products at very appropriate prices. 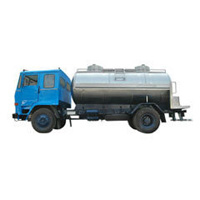 We are the top manufacturers of high quality Dump Tanks in India that are reliable and have a good durability and offer excellent functionality. These are made putting huge emphasis on quality using supreme grade material together with the most updated technology. These are made in adherence to the industrial standards as per the design made by our expert professionals. These have the capacity for storing voluminous quantities of liquids in the dairy industries. Moreover, the tops of our tanks are given handles for the easy handing of the user. These are made with corrosion resistant materials and are very robust & hygienic. We offer them in different volumes and specifications and also customize them as per the requirements of the clients. We offer our dump tank products to several urban and rural areas of the states such as Uttar-Pradesh, Andhra-Pradesh, Rajasthan, West-Bengal and Orissa etc. We offer them at very affordable rates. 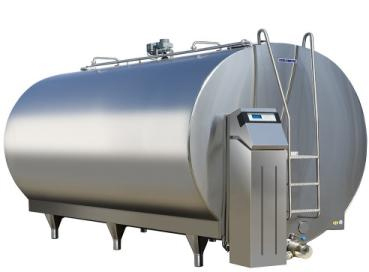 We are the leading milk cooling tank manufacturers of India and manufacture the tanks in compliance to the industrial norms so that our clients get the products that are very qualitative and offer the functionality intended very ideally. These are applied for the purpose of preserving as well as storing fresh raw milk procured. The temperature maintenance for milk cooling is very ideal in our tanks and can avert the breeding of bacteria in the milk and the same can be reliably stored. These tanks are made with the aid of the most modern technology utilizing quality checked materials and components. These are made under the guidance of experts ensuring that they are qualitatively made at every stage of the manufacturing process. Finally they are quality tested to ensure that they are absolutely faultless in their make and offer perfect cooling of the milk. We offer them in different volume capacities and specifications. We offer our high quality milk cooling tank at market leading rates. Balance tanks aid in placing the milk in a steady level over the inlet of the pump so that it is free from air and there is uniform supply of milk. Our company is one of the chief manufacturers of premium quality Balance Tank for Milk that has huge demand in the global market. 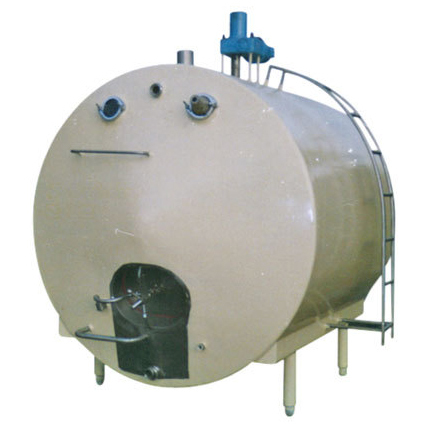 Our vast array of tanks is fabricated employing supreme grade of basic materials & constituents. These are extensively necessitated in leading dairy industries of the world for balancing purpose of the input and output flow during the processing. These are accessible in diverse sizes, volumes as well as specifications and can also be customized as required by the clients. Our tanks are manufactured in adherence to the international standards of quality making use of the most contemporary technology. These are quality tested to ensure that they offer flawless functionality. These tanks are 100% leak-proof, corrosion resistant and very durable. 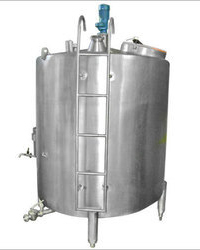 We are the leading Balance Tank for Milk supplier of India and offer them at industry leading rates.